FUEL queues have re-emerged around the country with government attributing the development to erratic foreign currency allocations but insisting the country has enough stocks to last the next 18 months. The Reserve Bank of Zimbabwe (RBZ) provides foreign currency to fuel importers every week, usually on Tuesdays, since local dealers are expected to pay cash up-front. The shortages come despite recent reports that government had struck a deal with business magnate Kudakwashe Tagwireyi's Sakunda Holdings for the supply of 100 million litres of fuel. 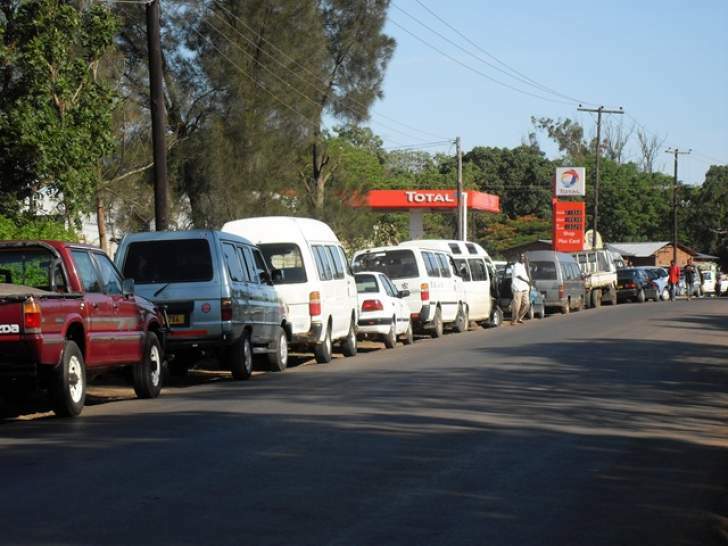 Queues snaking at service stations in Harare re-appeared this week with reports from Bulawayo and other parts of the country indicating that stock-outs were common at most service stations. The crisis came up in Parliament mid-week with Murehwa North Zanu-PF legislator Daniel Garwe seeking an explanation from deputy energy minister Magna Mudyiwa. Said the MP; "We are experiencing fuel queues in all the service stations in towns or cities. "If the Minister could give us an update of what is going on with respect to fuel availability now that we are approaching the festive season." Responding, deputy minister Mudyiwa claimed that the country had "enough" fuel stocks inland. "We have got enough fuel in the country at the moment in our reserves, but the issue is about payment," he said. "Our tanks are full of fuel. To offload the fuel, we have to make some payments, and this is the reason for the temporary setback. "Be assured that we have got enough fuel for the festive season even this farming season that is just commencing. That is the assurance that you can get from the ministry of energy." Energy Minister Jorum Gumbo blamed foreign currency shortages in a statement issued earlier in the week over the resurgent shortages. "The stock-outs emanate from delays in foreign currency allocations," he said. "When allocation is eventually released it takes time to arrange the transport logistics to transport the fuel to affected service stations." According to the minister, the National Oil Infrastructure Company (NOIC) has enough bonded stocks at its Mabvuku and Feruka storage facilities, in addition to contingency stock at the Mozambique port of Beira. He added that the government had also put in place agreements with suppliers to guarantee fuel while "a long-term solution to the problem is being worked out". In October, government announced it was in talks with Sakunda for a one billion litre deal of fuel, which would have beefed supplies for up to April 2020, with payment modalities being ironed out. Sakunda Holdings is in a 51/49 percent joint venture with Singapore-based Trafigura International. After relative stability in fuel supplies, last month's new fiscal and monetary policy interventions triggered a mayhem in the foreign exchange markets leading to shortages of fuel and other basic commodities.